We are the manufacturer of sauces, spreads, dips, toppings, seasonings, milk shake mixes, marinade pastes & curry pastes for fast food chains included our very best exclusive range of tulsi based herbal teas, sugar free products for wellness market. We are one of the leading exporters of agricultural commodities from India. We supply Other Fresh Vegetables to importers worldwide. For further details importers please contact us. Thank you. 3F Group (HACCP & ISO 9001 : 2008 Certified Company) of Companies started 50 years ago, with edible oils extraction & refining, then branched out in to various related product sectors i.e. Oil Palm Cultivation, Bakery Shortenings, Margarine, as well as Garments, Power etc., �Notably, we have emerged as one of the largest \"Bakery Fat & Margarine\" Manufacturers in India and \"World Leaders in Speciality Fats (CBS) technology. Foods Fats & Fertilisers Limited is the Flagship Company (www.fff.co.in). It has established a dominant presence in the B2B category with its product range. �As part of its strategic vision for further expansion, 3F Groups is exploring opportunities in prolific functional / nutritional consumer products categories. 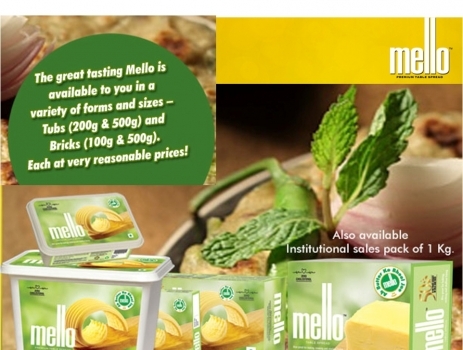 Mello - Premium Table Spread is the initial foray into Branded ready to Use / Eat Products. �Intended target consumers are the health conscious, Section A & B Population in the Top 22 Metro Cities. �Given the demographic profile of India, 3F Group believes there are attractive business prospects in such Nutritional Products, and would like to create its Own Brands. Foods Fats & Fertilisers Limited, is a 50 years Old Company Manufacutring & Marketing Mello - Premium Table Spread (Healthy Substitute For Butter) is presence in all Super Markets (Modern Trade Outlets) like Spencer\'s Daily, Heritage Fresh, Big Bazaar, Nilgiris, McRennett, Reliance etc., and our Institutional Packs used by so many Star Hotels in India including Chennai. 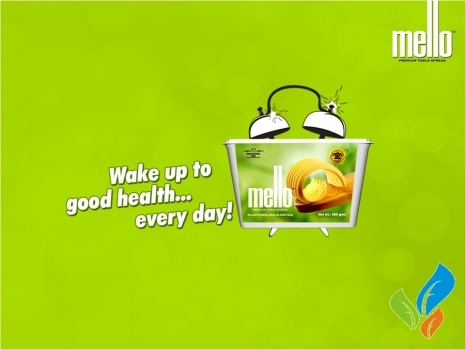 Mello - Premium Table Spread (Healthy Substitute for Butter) is Zero Cholesterol Product, Fortified with Vitamin A, D & E. Product also great for Baking, Cooking & Shallow Frying.